Living in Como makes me feel very lucky. If you are planning a day trip to Lake Como, I’m sure that you need some help to choose among the many things to do and see. I will tell you what I’d do, putting myself in the shoes of a tourist who has very little time. Are you ready? Let’s start a virtual Lake Como day trip! Start your tour from the town where I was born, Como. Here you can spend a couple of hours, say from 9:00 to 11:00 am. After drinking a coffee in a bar in the town center, visit two of the most beautiful churches in the city: the Basilica of San Fedele and the Como Cathedral. If you are fast enough, a walk along the lake is just what you need. 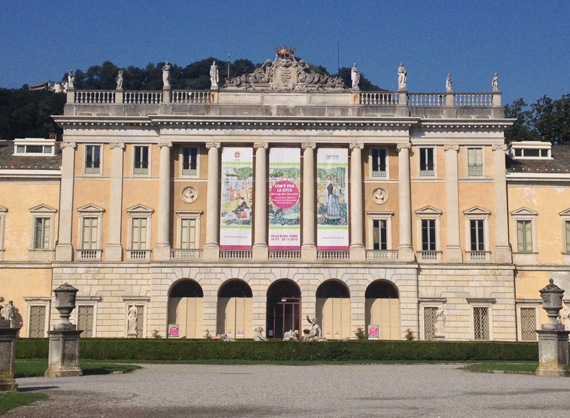 Take some pictures of the neoclassical Volta museum and Villa Olmo, two of the best things to see during your day trip to Lake Como. Buy a daily ticket at the boat landing in Piazza Cavour, and take a hydrofoil that will lead you to the lakeside promenade of Argegno (a 20 minute trip). It’s now 11:30 am… time for a little break! Relax in a bar on the lakefront and take a glass of white wine, while admiring the opposite shore and its scattered houses. The historic center of Argegno is quite small but quaint, definitely worth a visit. At 12:30, take a boat that will take you to Bellagio in 25 minutes. During your trip, just relax and take some pictures of Villa Balbianello and the beautiful towns along the coast. 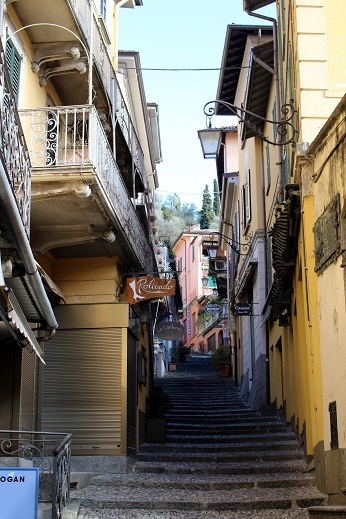 It’s hard to choose what to see in a Lake Como day trip, but don’t miss to visit to Bellagio. Once you get there, turn right and head for Villa Melzi (the villa is open from March to November, keep this in mind!). 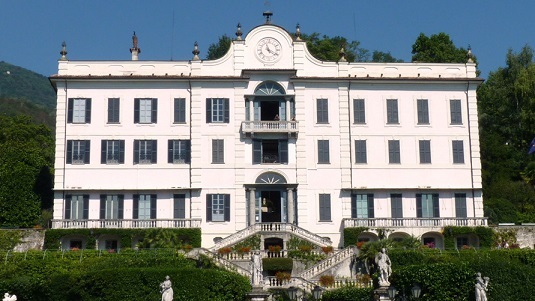 There, you have to spend at least 45 minutes, in order to admire the manicured gardens of the complex and the grandeur of the villa. Getting from Bellagio to Menaggio will only take you 15 minutes by boat. When you get to Menaggio, walk on its elegant lake promenade and have a coffee in Piazza Garibaldi. After taking some pictures of the hills in front of you, head to the main road and wait for the C10 bus that will take you to Tremezzo in a few minutes. Don’t miss to visit the beautiful Villa Carlotta, whose gardens are definitely one of the best things to see during a day trip to Lake Como. Ok, I guess that it’s time to go back from where you started! You can now return to Como by boat from Tremezzo. Look for a nice place to eat in the historic center of the town or on the right side of the lakefront… you’ll be really spoiled for choice! Now it’s up to you: end your Lake Como day trip with a sweet dinner in a cool restaurant and enjoy our local delicacies! Thank you so much for sharing this. I had spent a lot of time trying to find where to catch a boat from in Como and you have it all here on your blog. I’m going to use your recommendations when we are there in June 2017. I used your blog today as inspiration for my day trip to como and while I didn’t do all of it, the bits I did do were perfect! Thanks so much for sharing. Really thanks, Emily <3 I hope you enjoyed your stay on Lake Como! Hello Cynthia, are you referring to Villa Melzi in Bellagio? However, you can spend half of your day visiting the villa and the other part visiting Bellagio; then, the following day, you can take a boat and visit another town such as Como, Tremezzina or Varenna. If you have enough time, I’d suggest you to visit Villa Balbianello in Tremezzina which is amazing. Hope this helps! Have found this website to be fantastic – thank you for putting it together. Seems like we need much longer than 3 nights/4days as it all looks amazing. Will be there mid September. Can you hire a boat and head out to the different places ourselves? Hi Colleen, I’m happy you like my website! Yes, you probably need one week to fully appreciate Lake Como and its towns. However, there are a lot of facilities that give you the chance to hire a boat and take a tour by yourself. For example, AC Boat in Menaggio, Varenna Rent a Boat in Varenna, Bellagio Boat Rental in Bellagio, and so on. I think that each of the main towns provide this kind of service. Hope this helps!